Twinkle twinkle little star originally penned by British Poet Jane Taylor, a classic nursery rhyme adored by many children and adults alike. This piece is very much inspired by the birth of my new-born daughter and takes pride in her nursery. Its serves as both a illustrative piece as an identifiable star and textual, with the lyrics of Twinkle twinkle little star. 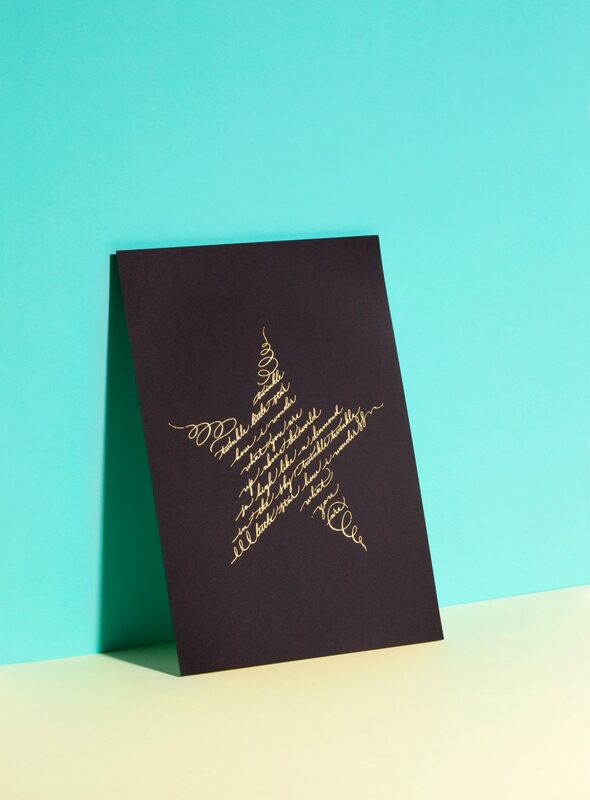 The twinkle twinkle little star print would be a beautiful thoughtful gift for a newborn baby, child or an expecting mother and father. It would also make a great baby shower gift. Perfect for a babies nursery or a child's bedroom. The gold foil shimmers beautifully as your eye scans the print. 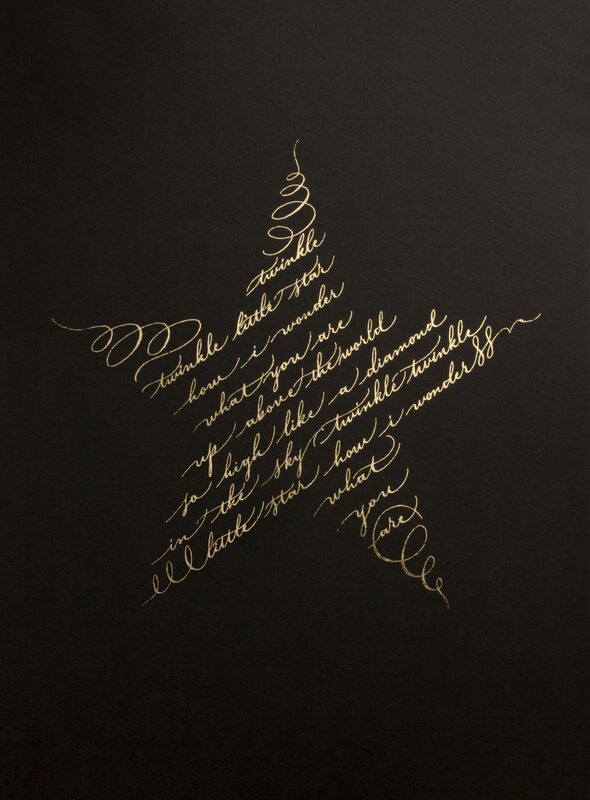 The original artwork is handwritten exclusively with calligraphy and is a one off custom design. Digitally printed with Epson UltraChrome K3 Ink to archival quality and laid with gold foil.